Contact Us At 516-247-6402 For A Free Quote from Latin American Exterminating Pest Control and Exterminator! Contact us for Same Day/Next day Service at Latin American Exterminating. Latin American Exterminating Control and Exterminator specializes in keeping your residential home and commercial business locations in Nassau County NY free from the hazards, hassle, and damaging pests with top of the line extermination services. From homes to apartments, from restaurants to buildings, we can quickly and effectively service your needs in Nassau County NY from our Freeport Headquarters. Latin American Exterminating was started in the 1960’s by a Latin American immigrant trying to make his way in the United States of America. Latin American Exterminating has had a few owners join its family over the years and has grown to service not just the Latin American community on Long Island, but all of the residents of Nassau County and Long Island, New York. We have been a staple of local Freeport residents, both for home, apartment, business and building owners and tenants. 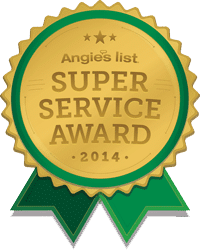 Would like to know more information is regards to pricing, pest treatment, and scheduling the next possible appointment from Latin American Exterminating Pest Control and Exterminator? If so fill out the easy contact form and Our friendly Latin American Exterminating Pest Control and Exterminator technicians are standing by! Latin American Exterminating wants you to be comfortable where you live. There are plenty of factors that contribute to pests in and around Freeport and Nassau County, from the Long Island Sound, the Atlantic Ocean, and New York’s temperate weather patterns, to the surrounding trees and wildlife. For landlords and building owners and our commercial clients, Latin American Exterminating Pest Control and Exterminator works with you. We ensure that your Nassau County NY tenants and property will be safe and satisfied. We offer specialized property management services to Nassau County landlords and property managers. At Latin American Exterminating we are a hands-on Nassau County NY company where you will continue to deal with the same expert technicians as we deal with your pest problems, so you can use your time handling your more important tasks. Latin American Exterminating Pest Control and Exterminator is located in Freeport NY, right in the heart of Nassau County, New York. Contact Us for Same Day/Next Day Service from Latin American Exterminating Pest Control and Exterminator now!